The Millers. Image from Facebook. Ashley Miller will be interviewed live tonight on the National Safe Child Show with Tammi Stefano on UBN at 7 p.m. PDT (10 p.m. EDT) to discuss her family’s ordeal. View live here. 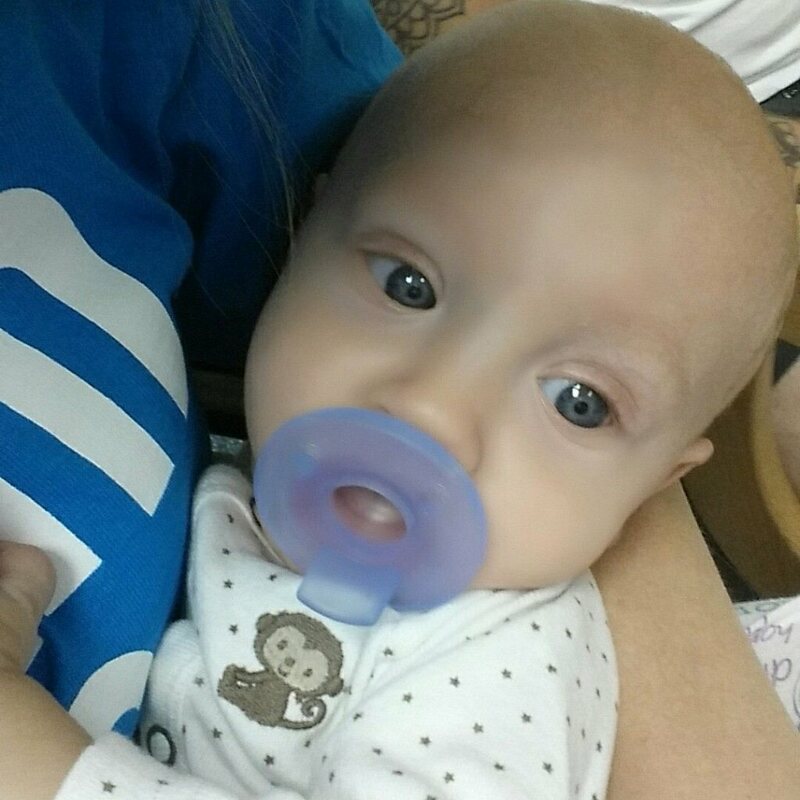 Cody and Ashley Miller of Kentucky took their sick 5-month old baby Easton to the Emergency Room of Monroe Carell Jr. Children’s Hospital at Vanderbilt in Nashville, Tennessee late Saturday evening, September 26, 2015. When Vanderbilt made allegations of abuse against these concerned parents, they could barely comprehend what was happening. My world crumbled when I heard those 2 words. I was nursing Easton one moment, and then they walked in, and then I was balling my eyes out hysterically. He can’t be on formula – I’m breastfeeding! Saturday night, our youngest, baby Easton, was ice cold to the touch and sweating. He had a low core temperature so we contacted his on call pediatrician who gave us the orders to take him in to be seen immediately. Seeing as Vanderbilt is the only Children’s Hospital close to us that specializes in children we made the hour drive from Fort Campbell, Kentucky to Nashville, Tennessee to the emergency room. He was taken back, after the triage nurse witnessed his mouth turning blue, and put in a room. They came in and did the vitals and noticed he had a heart murmur so they ordered a chest x-ray to look at the size of his heart, EKG, and blood pressure test on each of his limbs. Everything came back good with that except the one x-ray showed an abnormal find on one of his ribs that looked like a possible fracture that was healing. They wanted to do additional imaging and we agreed. After we went back and got about 20 more x-rays done they came back and said he had what looks like four fractured ribs, one fracture in his femur at the very top by his knee, and one in his foot by his big toe. Ashley and Baby Easton when they arrived at Vanderbilt, with concerns over baby’s low body temperature. Image supplied by Ashley. Should Families Consult their Attorney before Heading to Emergency Room? Reports of concerned parents entering Emergency Rooms with their children but leaving without their children, are becoming all too familiar as more and more parents are being accused of abuse, and the burden of “Guilty Until Proven Innocent” is charged against parents by hospital Medical Abuse Specialists and social workers. No part of the children’s hospitals’ child abuse processes appears to recognize, or even acknowledge, that a “defensive” rush to judgment, which some might call a “witch hunt,” creates real, lasting damage in families who are wrongly accused. Ashley understood and was relieved when the hospital admitted them to test Easton for vitamin deficiencies to find a reasonable explanation for his fractures, and monitor his heart through the night, but she never supposed that the hospital suspected her and Cody of abuse. Neither of them have any criminal background. Ashley says the worst thing on her “record” is a ticket for no seat-belt. Cody has been in the Army for 6 years and is a Combat Engineer. Neither parent could ever have imagined that by bringing their child to Vanderbilt’s E.R. Saturday night, that they would be going home without their children, accused as child abusers. 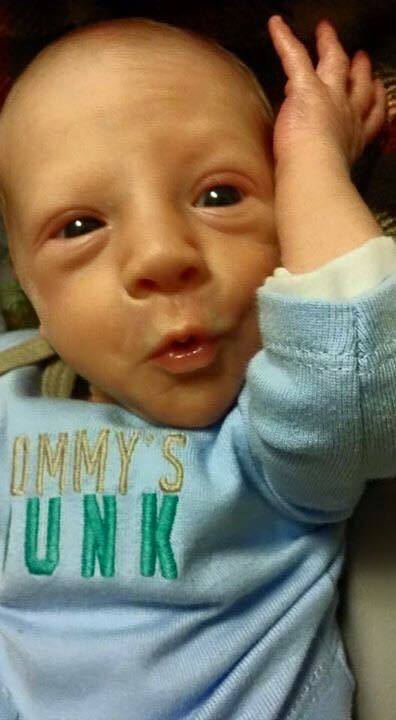 Easton at birth. Image from Facebook. We get transported upstairs to a room and they ended up doing an ultrasound of his heart and drawing blood work and told we would have the results later that day. As we are waiting for the results to come back another social worker comes in that is employed by the hospital and starts to question me as a DCBS worker is questioning my husband while he’s with the baby. They then switched and the workers start talking to me and gathered some information on why and how he could have possibly gotten these injuries. She then tells us she has to go make a few phone calls and she will be back to talk with us. A few hours later she returned with two officers and proceeds to tells us that the injuries had been labeled non-accidental and they were seizing my kids and we needed to pick a relative immediately or they would be placed in immediate foster care. I was holding the baby nursing him since he is breastfed and start crying hysterically. My husband had to sign the paper giving them the right to take the kids and we were made to leave while being escorted out of the hospital. They told me I could not even bring breast milk back to the hospital for the baby to have: it would need to be brought by a friend or family member. My mother ended up taking him milk up there that night. This had all happened around 5 p.m. Sunday evening. Ashley says she begged the hospital not to give her son formula, and that she would send her mom back to the hospital with breastmilk. 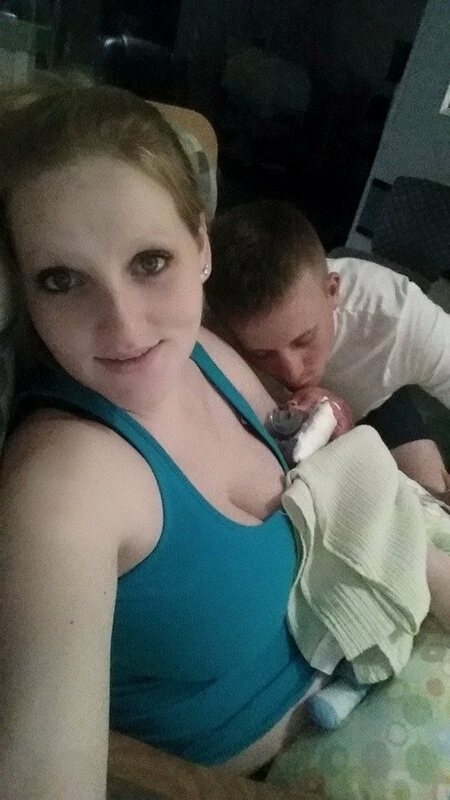 Even though Easton was breastfeeding at the time DCBS seized custody of the children, and Ashley’s mom returned within 1.5 hours with more breastmilk, Ashley was shocked to learn that the hospital had already given Easton formula in the short interim. 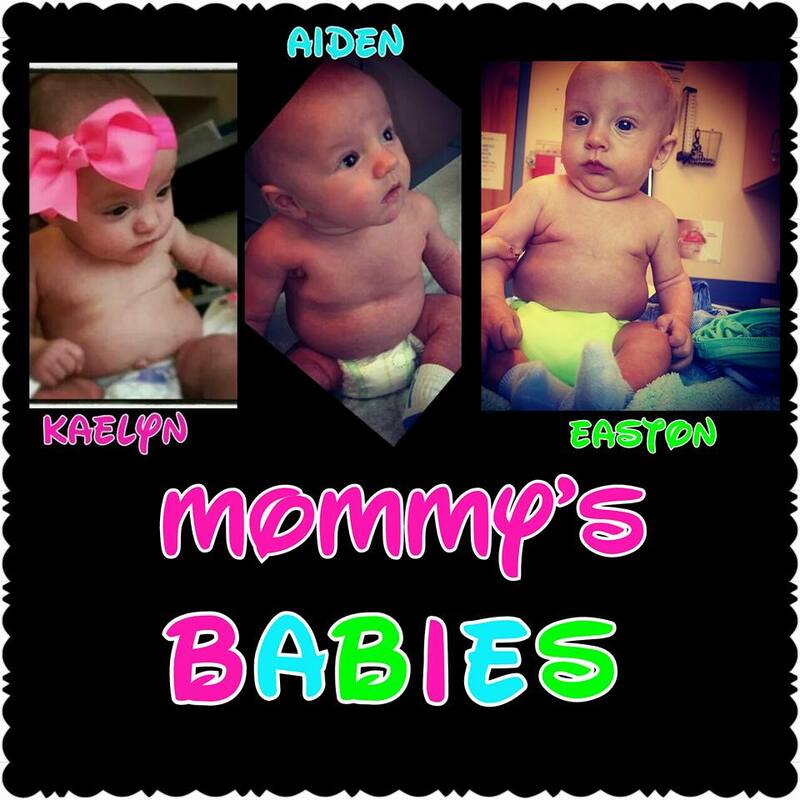 Besides baby Easton, DCBS seized custody of the Miller’s other 2 children: Aiden, almost 2, and Kaelyn, almost 3. 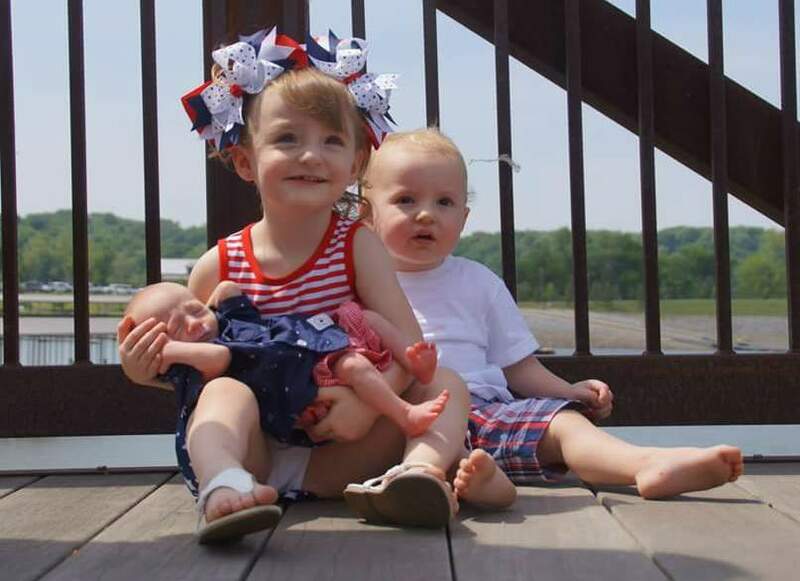 Ashley said that currently all 3 children have been placed with her grandmother, but that DCBS will not even allow her to go near her grandmother’s house or even have supervised visits by her grandmother so that she can continue to nurse baby Easton. Any parent whose children are kidnapped or gone missing would understandably be broken and devastated, and people would be suspicious if a parent wasn’t hysterical in such a situation. Yet, when the State seizes custody of someone’s children, parents who are overcome and distraught with grief are often labelled unstable, depressed and suicidal by the social workers who are taking the children away, and then these same social workers use this “diagnosis” as a reason for not returning the children. The Miller Children. All three children were seized by Kentucky DCBS following Vanderbilt’s abuse accusation. Image from Facebook. Sunday night when Ashley’s world crumbled and her 3 children were seized by DCBS and she was told she could no longer breastfeed her baby, the distraught mother went to her father’s house seeking comfort and a shoulder to cry upon. 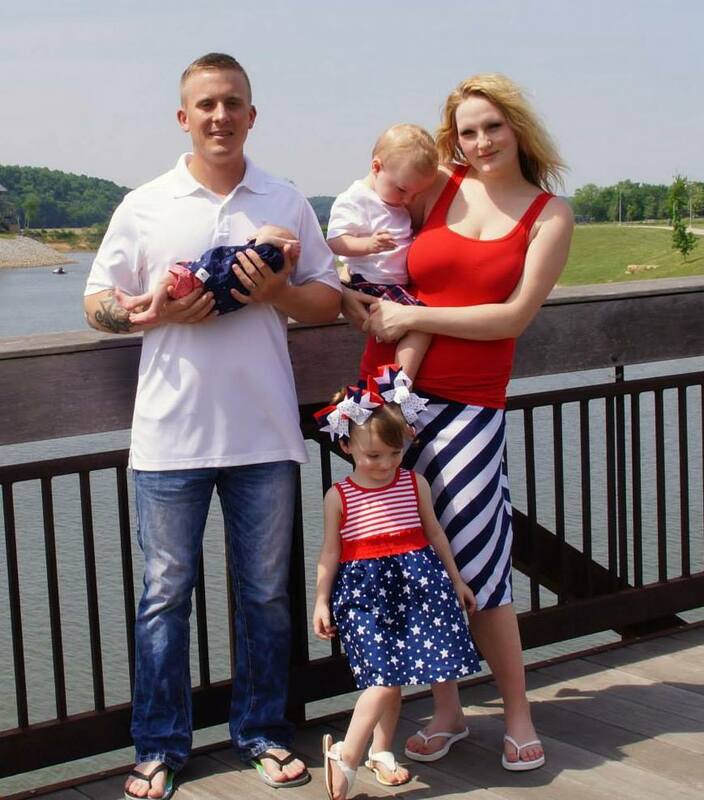 Meanwhile, the DCBS worker contacted the Military Police at the Army base at Fort Campbell, where the couple lives, and told them Ashley was suicidal. 14 MPs were dispatched to do a “welfare check” on this heartbroken mother. When the Millers returned home, after leaving Ashley’s father’s home, a neighbor told them about the 14 MPs who had been searching the neighborhood for Ashley, believing her to be suicidal. Eventually, some MPs showed up at her house and said they had to do a “welfare check” and make sure she was not suicidal. The Millers consented, and the MPs left satisfied that Ashley was not suicidal. Ashley called the hospital the next day, on Monday September 28, hoping that the lab results would give them some answers as to why their son’s x-rays showed all those fractures. She would find out that even though Vanderbilt diagnosed Easton with rickets, the hospital would not retract their allegations of abuse. The next day around 11 a.m. I call and find out the lab results were back and his calcium level and vitamin D level were fine but his phosphate level was low which is what makes up 85% of your bones and teeth. They did additional testing and later that evening diagnosed him with rickets. Around 5 p.m. the social worker from the Kentucky Cabinet was there to pick up the baby when he was discharged around 9 p.m. and take him to my grandmother. Her name is Shell Peters. Do Doctors who are Child Abuse Specialists “See” Abuse because They’re “Looking” for Abuse? 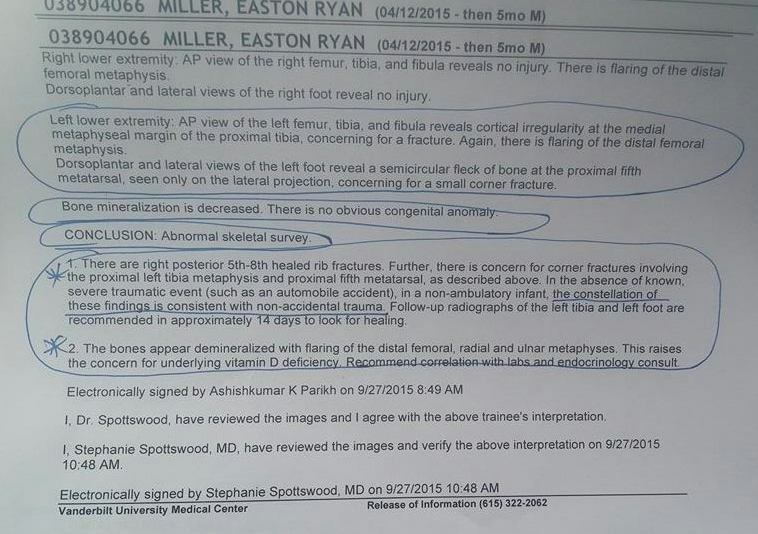 Easton’s radiology report mentions he has a “history of fussiness” which is consistent with rickets, and the doctors ordered labs, being concerned about a vitamin D deficiency, yet they still made a judgment of “non-accidental trauma.” Even after the Vanderbilt doctors diagnosed Easton with rickets, they would not budge from their original accusation of abuse, and consider that Easton’s medical conditions may mimic abuse. Do doctors and social workers see abuse simply because they want to see it, even when other reasonable explanations exist? 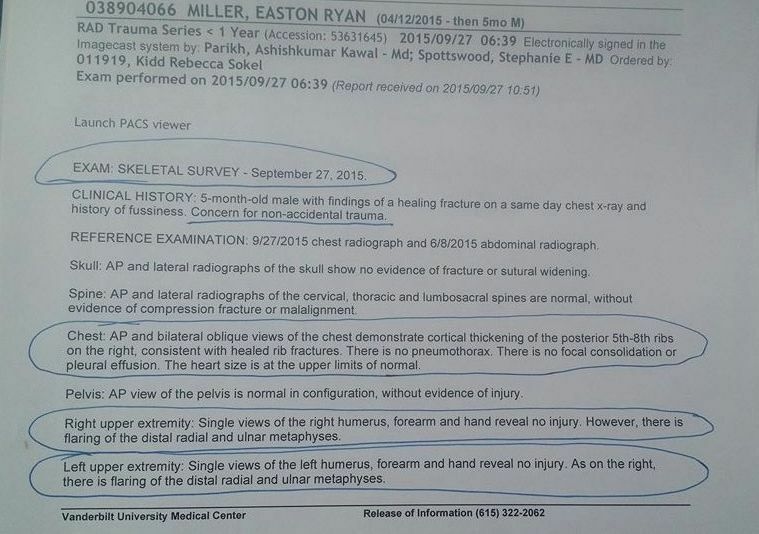 Easton’s Radiology Report from Vanderbilt. Image supplied by mother. 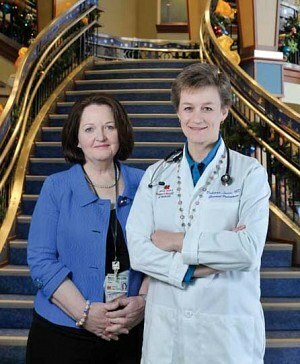 In a similar story involving Vanderbilt Children’s Hospital, the Turner’s from Tennessee, were accused of child abuse by Dr. Deborah Lowen, a Child Abuse Specialist at Vanderbilt. We provide medical evaluations when concerns about possible abuse or neglect arise. Our team includes child abuse pediatricians and a nurse practitioner who work side-by-side with experienced pediatric social workers. When MedicalKidnap interviewed the mother Ashley Miller, she said she never met Dr. Lowen nor was questioned by her. The hearing was set for Tuesday morning September 29th at 8:30 a.m. Ashley said that a new caseworker was there whom she had never met, and Ashley alleges that this social worker withheld information from the judge about Easton being diagnosed on Monday with rickets and vitamin deficiencies. The DCBS social worker testified that they took the kids due to “possible abuse due to non-accidental trauma,” as suspected by Vanderbilt’s doctors. The judge allegedly asked Ashley if she had any questions for the social worker. Ashley asked if the social worker was aware of the medically diagnosed deficiencies and rickets made at Vanderbilt, and the social worker replied that yes, she was aware of that, but that the doctors purported that there was no way this medical diagnosis was the cause of Easton’s injuries. Ashley then reasoned that the abuse verdict was made by the doctors on Sunday, before the rickets diagnosis was confirmed, and asked if the doctors were still claiming “non-accidental trauma,” even after this new information was discovered? The social worker held to the allegation that they are still claiming “non-accidental trauma,” despite the rickets diagnosis. We feel if they have any contact with the kids they are at risk for neglect, abuse, or potential death. You have no say-so. All your rights are gone. Even if you provide breastmilk, he will be given formula. The judge ruled in her favor and I was denied any visitation. All my custody was gone, like a flick of a switch. Baby Easton at Vanderbilt. Image from Facebook. Ashley explained that prior to being accused of child abuse that dreadful night at Vanderbilt, she never had even heard of “Rickets.” Now, within a few short days, she has a 50-page binder full of information regarding rickets, possible cause of rickets, and similar cases where other families have been accused of abuse when their children also had rickets. Since learning about rickets, Ashley has discovered there may be a link to vaccines and rickets. She was once a believer in receiving all the routine advised vaccines, but now says she will not administer any more vaccines for her children. Thinking back, she recalls how many of her son’s “problems” began shortly after his 2-month vaccines. She recalls that he became fussy and began to cry a lot – high pitched screams. Since Health Impact News started the MedicalKidnap.com website in late 2014, we have reported on numerous stories where children are taken away from loving families simply because evidence was found of broken bones or other skeletal trauma. Are Vaccines Causing Our Genes to Mutate? 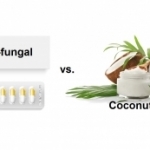 Although both of these conditions are said to be inherited, an unusually high number of parents are reporting that their child only developed these conditions after they had been vaccinated. If this is true, could it be because their children already had the genetic markers for these conditions and the vaccinations simply prompted their bodies to develop the full-blown disorder? Child Abuse or Vaccine-Induced Rickets – Are Doctors Getting it Wrong? Ashley contacted Dr. Ayoub, and he recommended a trusted pediatric endocrinologist in Birmingham, Alabama, for a 2nd opinion. However, Ashley says her hand are tied. Ashley cannot get a 2nd opinion because all doctor visits now have to be made by the DCBS social worker, who will not allow any 2nd opinions. Ashley’s grandmother was warned by Shell Peters, the DCBS worker, that if she tries to get a 2nd opinion for Easton’s fractures, that the children would be removed from her custody. 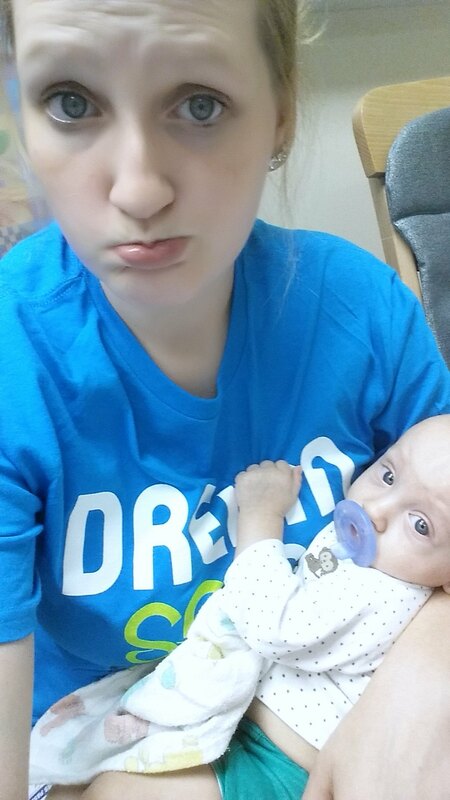 On Thursday, October 1st, Ashley had her first supervised visit with her children at the DCBS office, and was able to nurse baby Easton for the first time since Sunday, although she says her milk supply is really low despite the pumping. She says she can hardly eat or sleep, and is always thinking about how to get her children back home. She was offered a choice of one 2-hour visit each week, or two 1-hour visits, and chose the 2 one-hour visits, so she could continue to breastfeed as much as possible. It was like losing them all over again. They cannot live within 10 miles of the grandmother’s house. 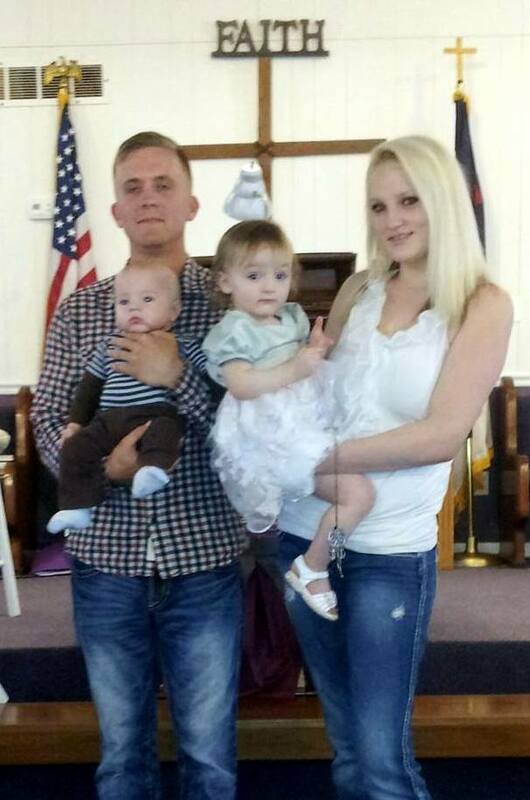 Cody and Ashley were ordered to pay child support, which would not go to her grandmother, but to the State. They are dictating how we live and where we can live! This is especially bad news because the Millers had put in a 30-day notice to move out of military housing prior to their E.R. trip and this investigation, and now have to be out of their home by October 23rd so the new residents can move in. They had planned to move into Ashley’s mother’s house, which is next door to the grandmother, but now due to this court order, if they move into the home as previously planned, DCBS will remove the children from the grandmother’s home. Moving into the mom’s home would have been an easy move financially, as there would have been no deposits and costly rents and leases. Now, the family is searching for a home to move into within the next 3 weeks that will comply with the distance restriction placed by DCBS, as well as finding a home they can afford on short notice. She’s the bad person who took my kids, and I can’t do anything about it, and she is the one who will be driving my son to his appointment. Are Families’ Fates in the Hands of “Dishonest Scales” in Family Court? The Miller children as babies. Image from Facebook. What do you do when your family’s fate lies on the scales of the Family Court system? Oftentimes we have reported how social workers and court-appointed attorneys have lied, omitted evidence, and even twisted testimonies in Family Court. Allegations have been made about corrupt judges and social workers who trade children as commodities in a federally funded kidnap business, bringing in large amounts of money to the States. If suspected child abuse were handled by Criminal Courts, these families would actually have a chance to present real evidence in a Constitutional court of law, and to have all their liberties protected before a verdict of guilty could be made. Instead, Family Court relies mainly on the testimony of the social worker, who is granted almost limitless power to be the judge, jury and executioner. We have a court date for October 22nd for both sides to present any evidence to prove that they are guilty or innocent of the accusations. They are still attempting to push abuse charges towards me and my husband. The doctor who saw Easton at Vanderbilt wrote a statement that she felt there was no possible way these injuries could have been provoked by his medical condition. On October 2nd, Cody and Ashley met with their court-appointed attorneys. Ashley’s attorney said she is going to file an emergency motion to return the children to the parent’s custody for routine care while the investigation continues. She said that she doesn’t feel there is enough evidence to substantiate abuse – no bruising – and she says that the fact that the family has an excellent history of routine medical care and wellness checks, shows that they are responsible parents, not abusive ones. The attorney said she believes it is in the children’s best interest to be returned immediately to the family for baby Easton to continue nursing. Friends of the family have a Facebook page set up where you can visit and show support for the family. Operation bring the babies home. Support the Miller’s. If anyone in the Hopkinsville area knows of rental places, please contact the family via their Facebook page. The Millers ask for prayers during this difficult time. Share their story and continue to fight for justice for all children who have been medically kidnapped. Jack Conway can be reached here and via his Facebook page here. Matt Bevin can be reached here and via his Facebook page here. Drew Curtis can be reached here and via his Facebook page here. Kentucky is Being Investigated for Corruption: Will the State’s Sordid History of Legal Kidnapping Finally be Punished?